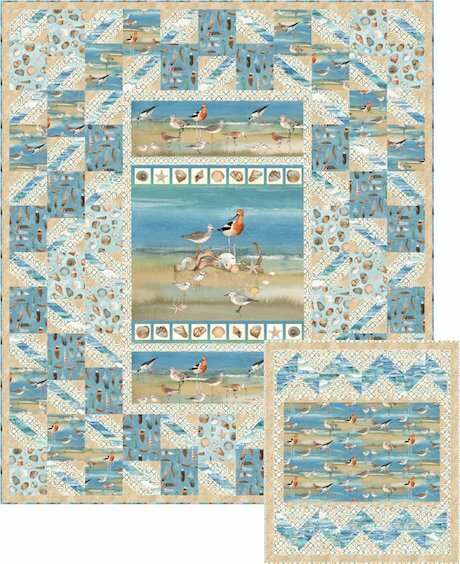 Whip up this 60" x 70" throw to add a touch of coastal cottage to your home. Waves make you sea sick? Change out the panel and theme to your favorite vacation or leisure activity. So easy to piece angled blocks are made with quick-corner triangles. Use the trimmed-off make triangles to make the coordinating wall quilt. Our detailed full-color pattern includes lots of diagrams to guide you through every step.